Piedmontese wine bar and traditional cuisine. Here you could find Barbera wine and other typical Italian wines that you could enjoy with a special selection of Italian cold cuts and cheeses. «My favorite wine? If I wanted to be specific, I would say Roero Riserva from Demaire wine cellar – but, in general, I like all kinds of Nebbiolo wine varietals. I grew in Novara and, when I have to choose, I prefer wines like Gattinara, Ghemme and Boca, rather than the wines coming from Asti, even if Nebbiolo comes from there. These wine varietals grew on a similar mountainous area – but they are not the same; for example Gattinara and Ghemme are mixed with local wines, like Grignolo. What are the wines that are always present in my wine house? Of course Freisa – a delicious Piedmontese red wine.» When Aurora Facciola talks about wines – especially when she talks about the Piedmontese ones – her eyes shine, as she would talk about love – but without the bitterness coming from the memory of previous relationships. It may be a Barbera d’Asti, loved as teenager – or a glass of Barolo, drunk in recent times. 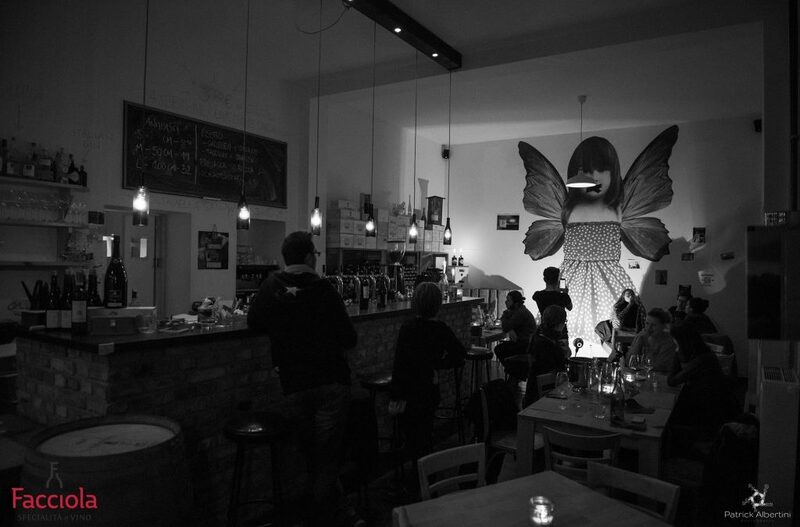 Since September 2014 Aurora has been working in her eponymous wine house, Facciola – in Kreuzberg, Forster Strasse 5 (metro station: Görlitzer Bahnhof). Read the article in Italian. «”Life is too short to drink bad wines” – said Johann Wolfgang Goethe – and I totally agree with him. We think that a good wine is an opportunity to exalt a well-rounded culture, so we use food and wine to promote one reality. We have four different types of events that we organize periodically. The first one is called Weinisssage – Wein and vernissage. The aim of this event is to offer to young artists and photographers a space where they can express themselves – combining a wine tasting to their works. The second format is called Cabaret Opera – a cooperation with young opera singers that want to bring their music in the streets, far from the strict theater scene. The third one is called Foodscape. Our aim is to exalt the quality of a specific geographical, cultural and social area through its most typical food. The last one is the Krisen Herd, focused on the presentation of two lands that had been in conflict. We emphasize their differences, but also their affinities.» Thanks to the quality and to the perseverance of these events, Facciola has earned the title of “Cultural Hub” -conferred by Berlin Global. It was also used as one of the evening location of the “Italian Film Festival Berlin”.